The Beachcomber has been voted “One of the Best Seaside Dining Spots in New England” by Yankee Magazine, “Best Raw Bar, Best Outdoor Dining, Best Specialty Cocktail and Best Entertainment” in the Cape Cod LifeReaders’ Polls, “Best Bar on the Cape & Islands” by Boston Magazine, one of the “Best Bars in America” by Esquireand #10 on the Travel Channel’s“Twenty-One Sexiest Beach Bars in the World” list. With an outdoor bar overlooking the Atlantic and an indoor bar in the heart of a former U.S. Lifesaving Station, it does not get any more authentic than the Wellfleet Beachcomber. 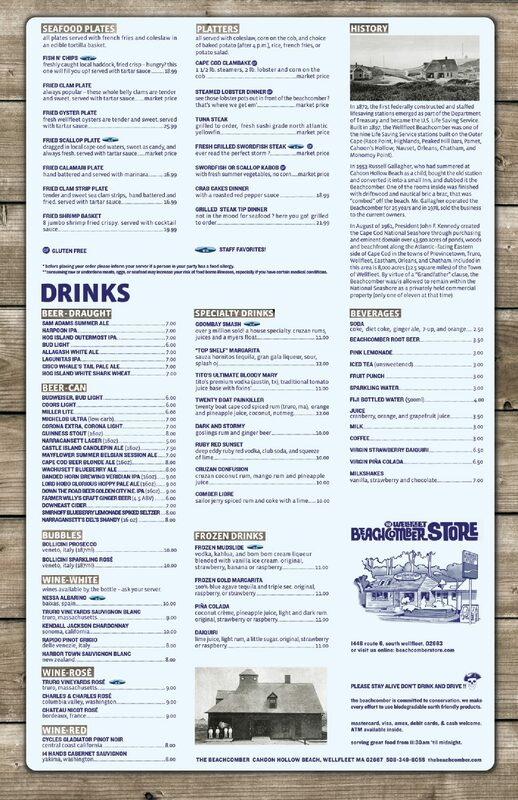 Bring the whole family down to the Beachcomber for some lunch or dinner. 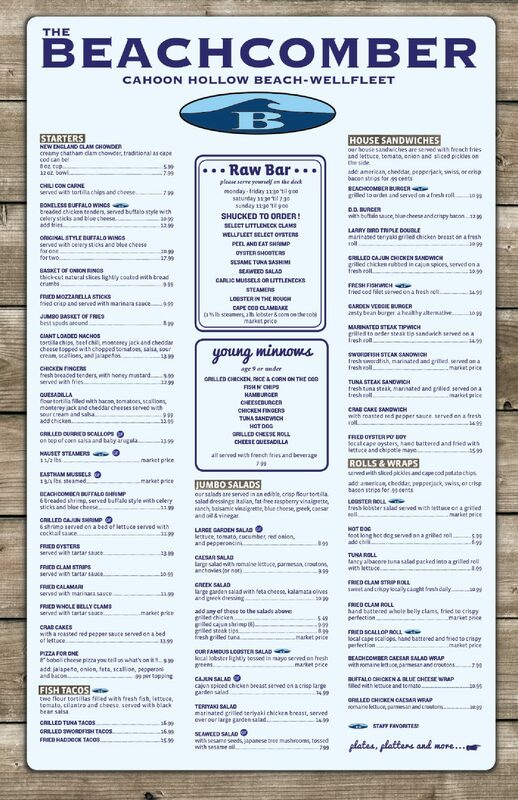 We have a great kids’ menu with burgers, grilled cheese, fish & chips and more. We’ve been here long enough to know that those kids will be bringing their own kids here before you know it. How many of us were kids hearing our own folks ramble on about the ‘Comber in the 70’s & 80’s? For the menu, click HERE. Please note that starting at 9-10 p.m. during the week and at 8-9 p.m. on Saturdays and Sundays, the Beachcomber is 21+ only.